Joydens Bridleway Group was established in 1993 by a small group of local riders when the riding tracks in Joydens Wood were threatened with closure. Since this date it has become closely associated with the local riding club, local walking groups and anyone that needs advice on rights of way and access issues. It is affiliated to the British Horse Society and has a bona fide constitution and membership structure. Since its birth the group have been involved with many rights of way issues and have made a successful claim to add a new bridleway to the local definitive map and statement in Wilmington which runs alongside the Ship at Puddledock Lane where it meets up with Rowhill Road. Membership is open to any one interested in rights of way, be it as a rider or walker at a very modest sum of £5.00 annually, where all members receive a membership card and regular news sheet. All members of the Joydens Riding Club are all associate members of the Bridleway Group. Traffic lights have been installed at two crossing points on North Cray Road. Great news for the riders of Bexley - well done Bexley Council! 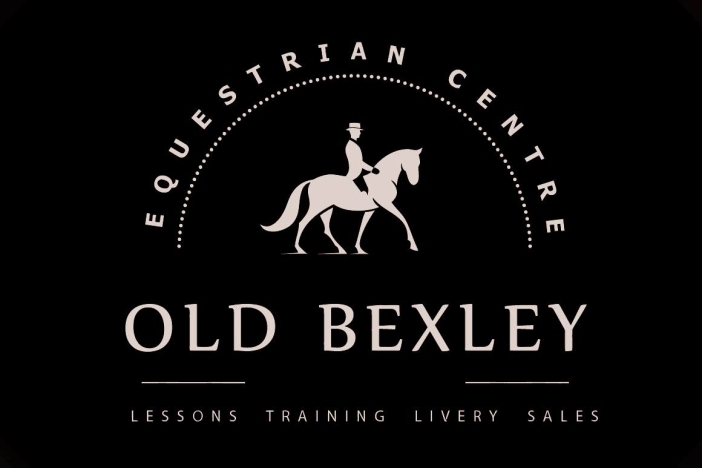 Information on where to ride in the Bexley Borough/Dartford areas can be found on this site or contact requesting a map package on 'Where to Ride' cost £3.50. 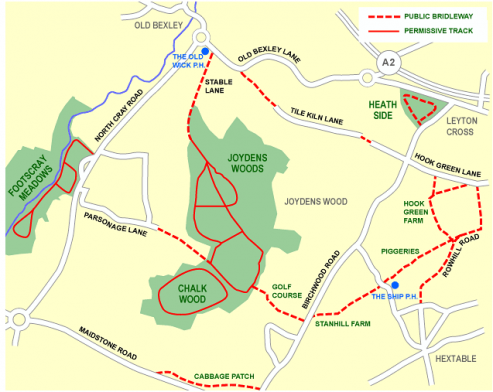 Permits for Joydens Wood Riding Track are obtainable from Mount Mascal Stables, tel: 0208 300 3947.